The trilogy is over! I am pretty sad to be honest. 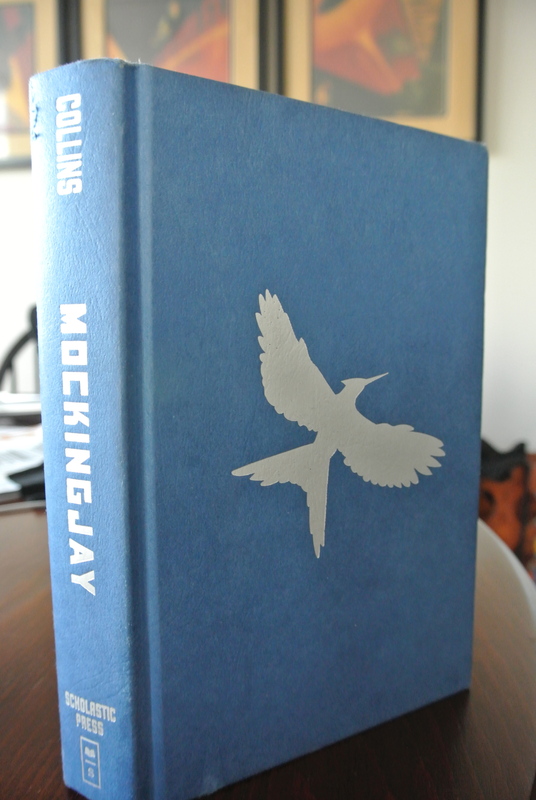 Last week I finished reading The Mockingjay by Suzanne Collins. This book wasn’t as amazing as the Hunger Games, but provided its own set of twists and turns as the adventure continued! the story seemed to drag on a bit as by this point you really want to see an ending for all of the characters. Other than that I still found this book enjoyable and an easy read. I honestly never thought this would be a series for me, but I enjoyed the writing style and the adventures that the story took me on really did grip me until the end. You constantly want the best for the main character Katniss, but she continually goes through hardships. This series is an interesting take on government control and it truly does have you begging for more with each page. If you plan on doing a summer read I suggest picking up the series! The series as a whole, I am rating it 5/5. I have finally started reading my next book but I seriously had to take a week or so to recover and be able to think about anything other than The Hunger Games! Now I will have to watch the movies!!! ← Weekend love, a wedding.